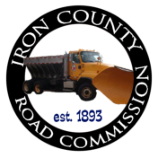 The Iron County Road Commission is responsible for providing a road system that is reasonably safe and convenient for the traveling public. The Iron County Road Commission maintains 270 primary and 363 local. The Iron County Road Commission is people taking care of local roads and local needs. The Board of County Road Commissioners of Iron County is a municipal corporation, legally established and defined by State Law. 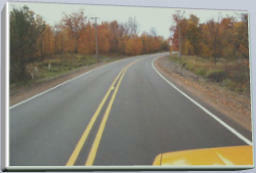 It is charged with the responsibility for maintaining and reconstructing county roads in Iron County. The Board of Road Commissioners in Iron County is composed of five members who are elected. Supt./Manager: Douglas C. Tomasoski, P.E. Finance Director/Clerk: Lisa Powell, CPA Click here for ICRC meeting information.